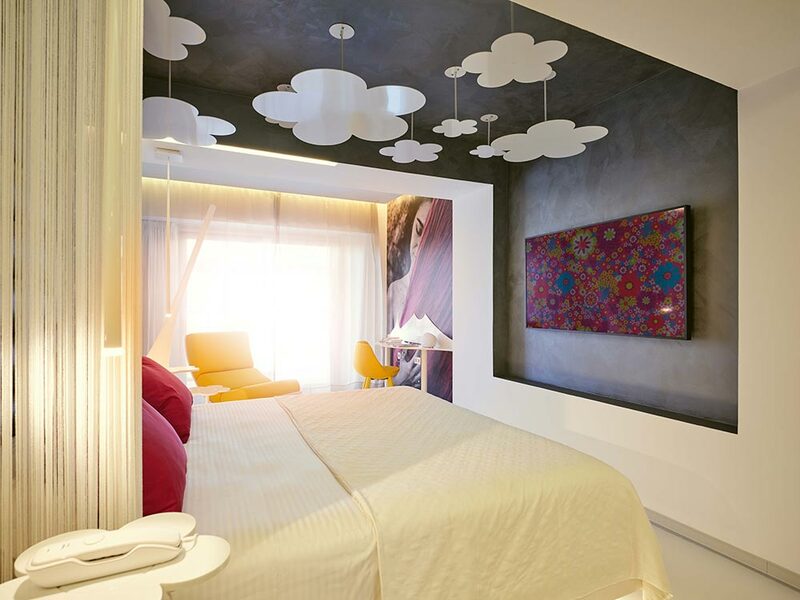 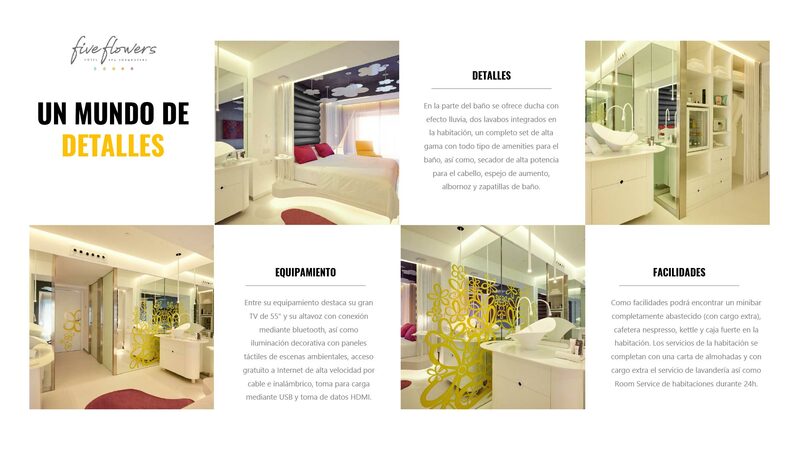 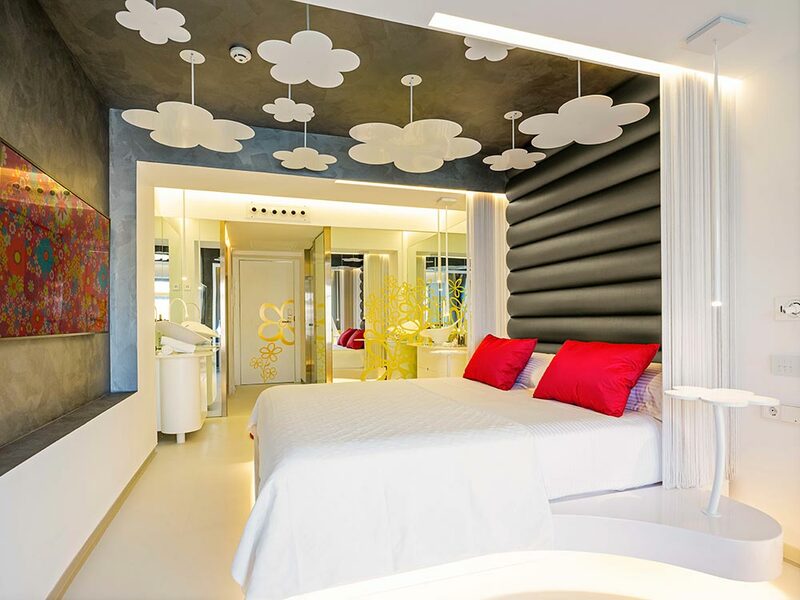 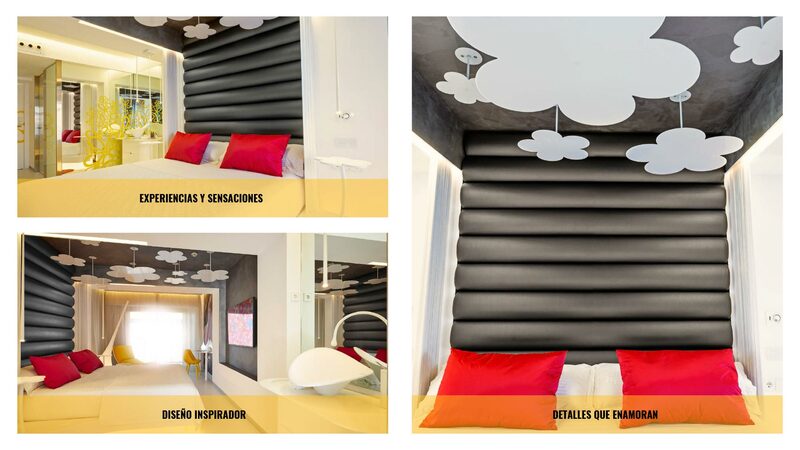 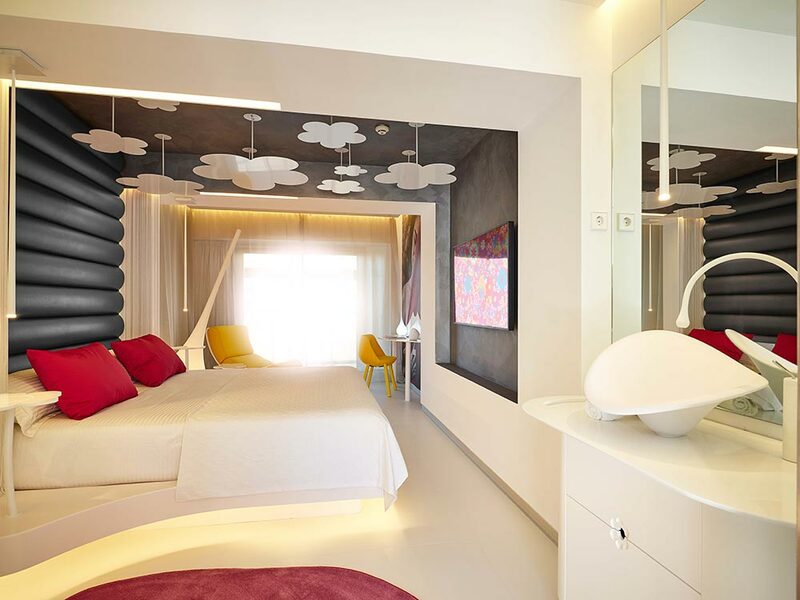 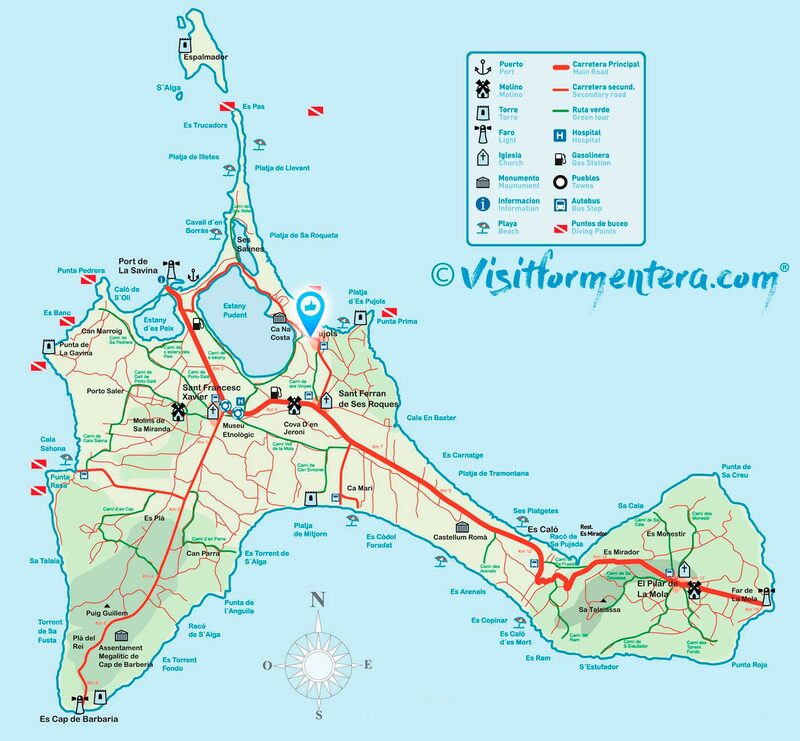 Formentera Hotels. 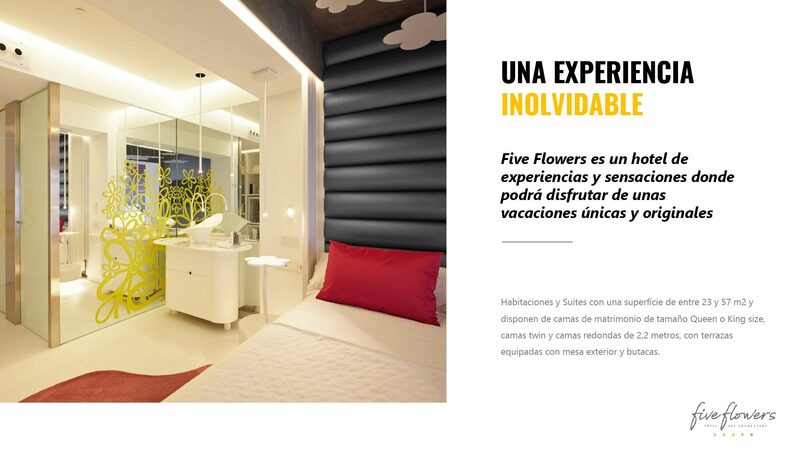 Five Flowers Hotel Formentera (5 stars). 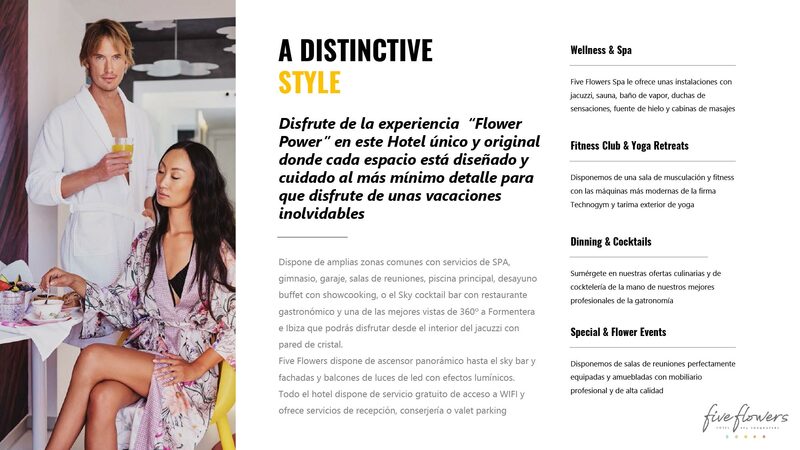 Five Flowers Hotel Formentera is the first and only luxury hotel in Formentera with a 5 star category. 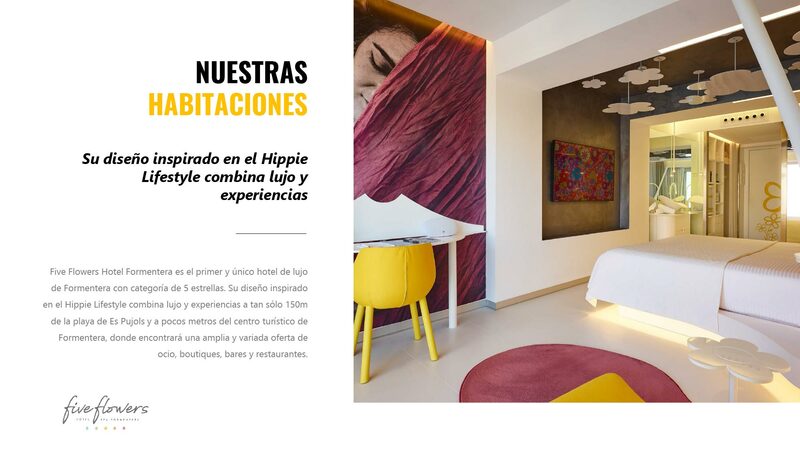 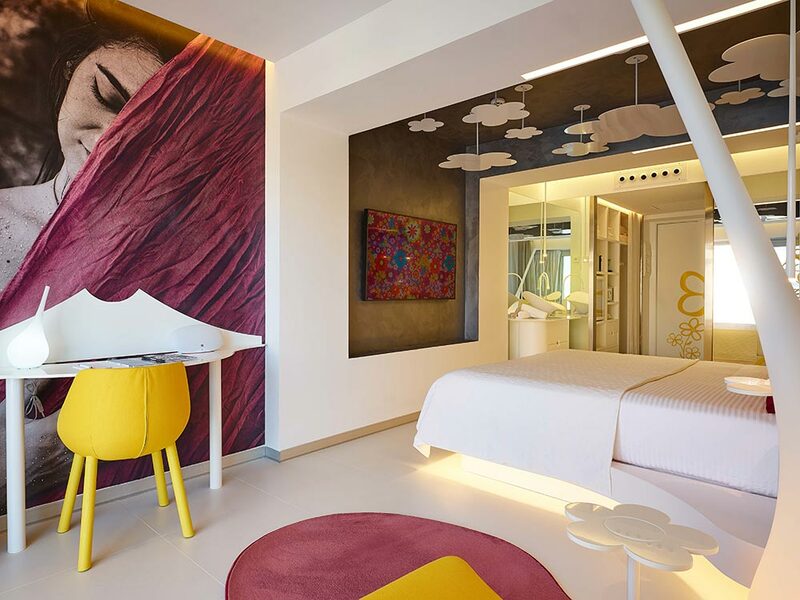 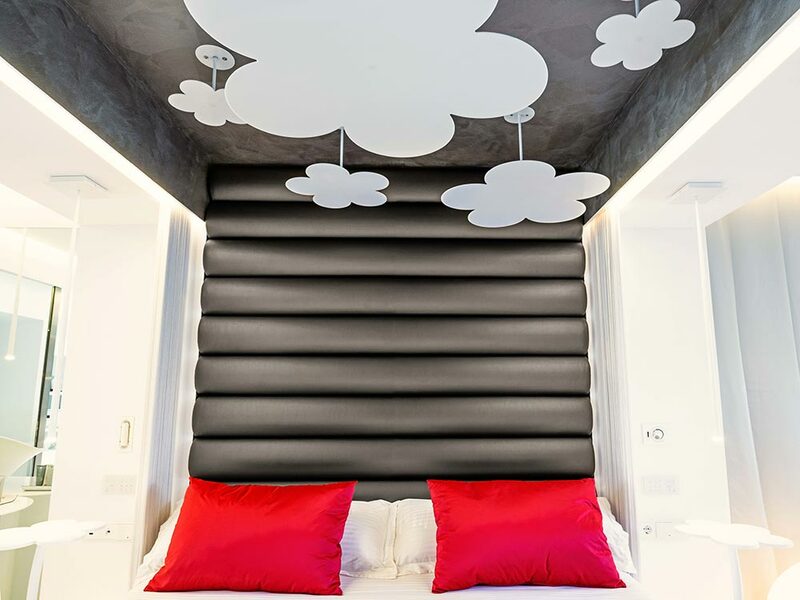 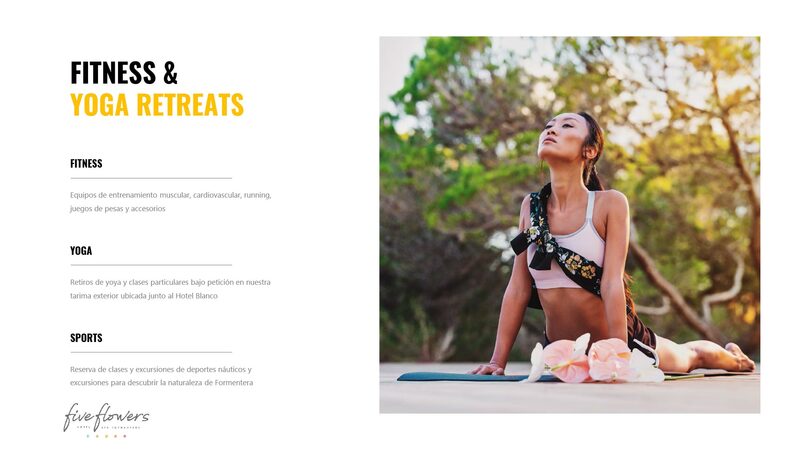 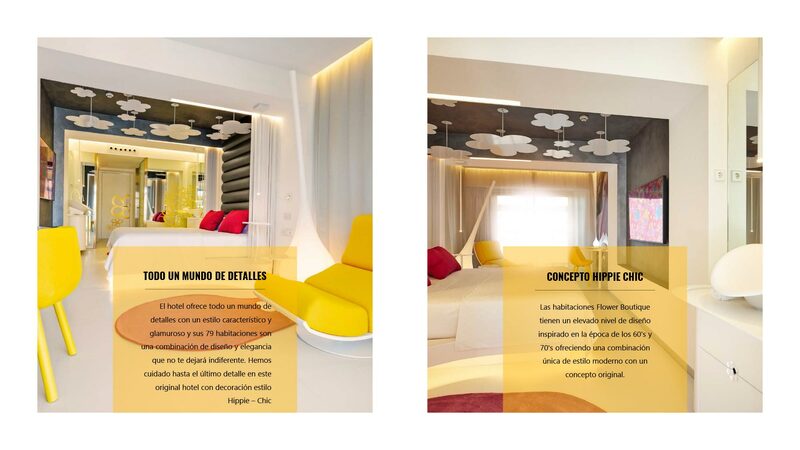 Its design inspired by the Hippie Lifestyle combines luxury and experiences just 150m from the beach of Es Pujols and a few meters from the tourist center of Formentera, where you will find a wide and varied range of leisure, boutiques, bars and restaurants. 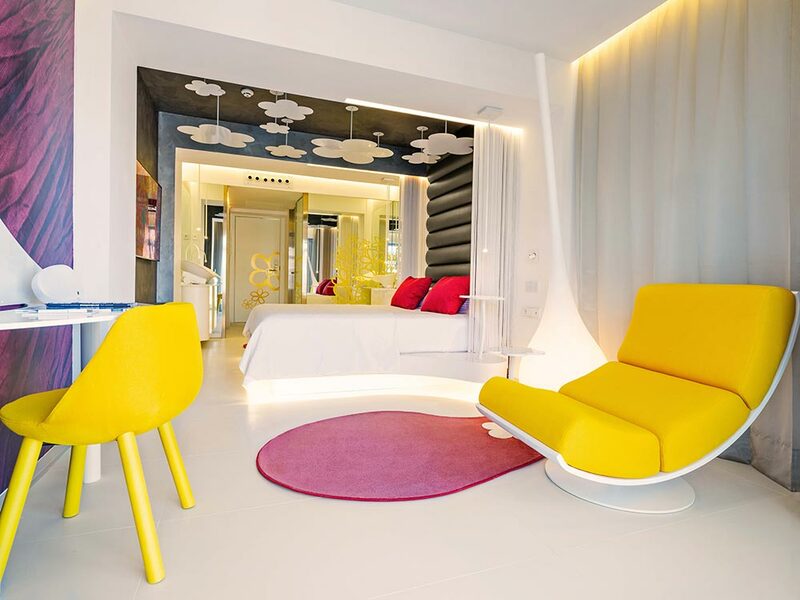 The hotel offers a world of details with a characteristic and glamorous style and its 79 rooms are a combination of design and elegance that will not leave you indifferent. 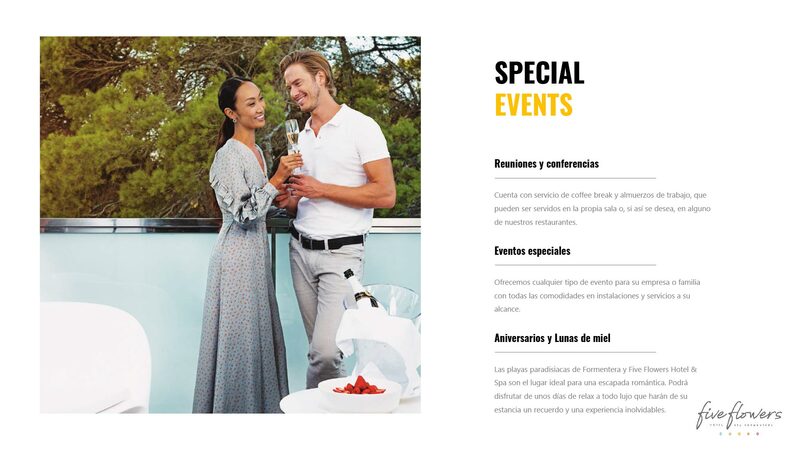 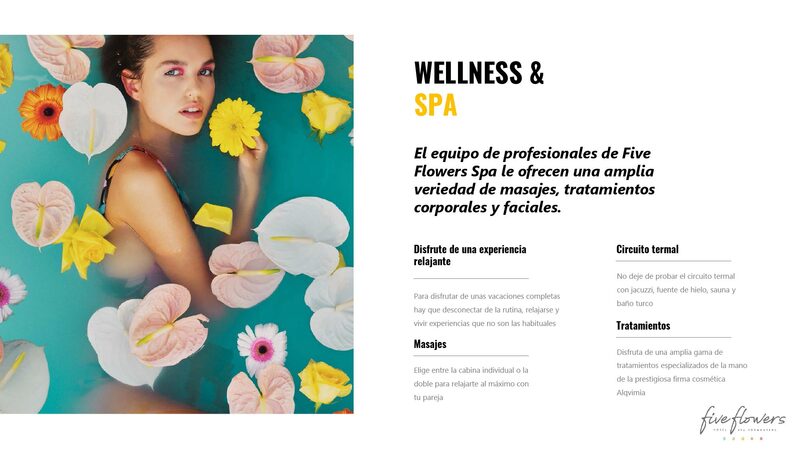 It has large common areas with SPA services, gym, garage, meeting rooms, main pool, buffet breakfast with showcooking, or the Sky cocktail bar with gastronomic restaurant and one of the best 360º views to Formentera and Ibiza that you can enjoy from the interior of the jacuzzi with glass wall. 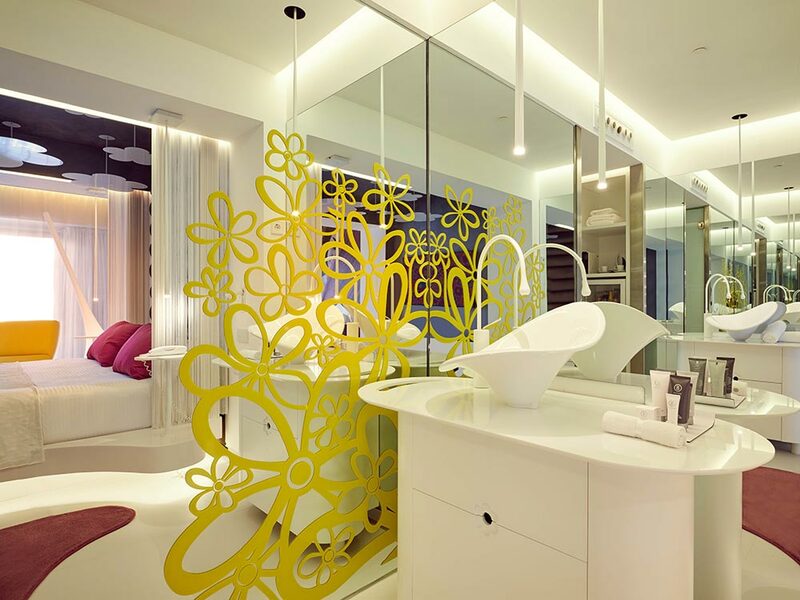 Five Flowers has a panoramic elevator to the sky bar and facades and balconies of led lights with lighting effects. 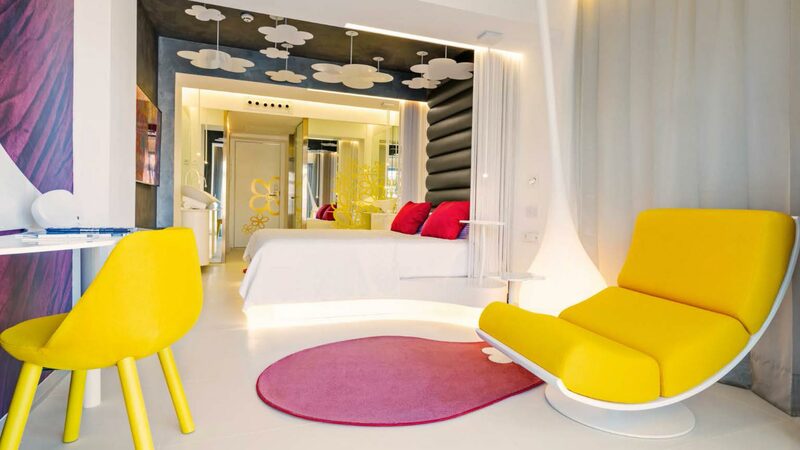 The entire hotel has a free WIFI access service and offers reception, concierge or valet parking services. 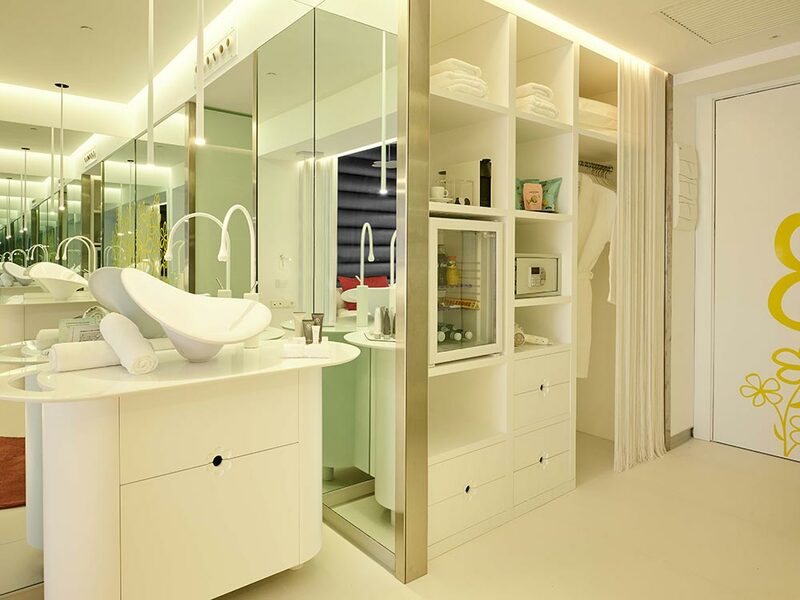 In the part of the bathroom there is a shower with rain effect, two integrated toilets in the room, a complete high-end set with all kinds of amenities for the bathroom, as well as a high-power hairdryer for the hair, a magnifying mirror, a bathrobe and bath slippers. 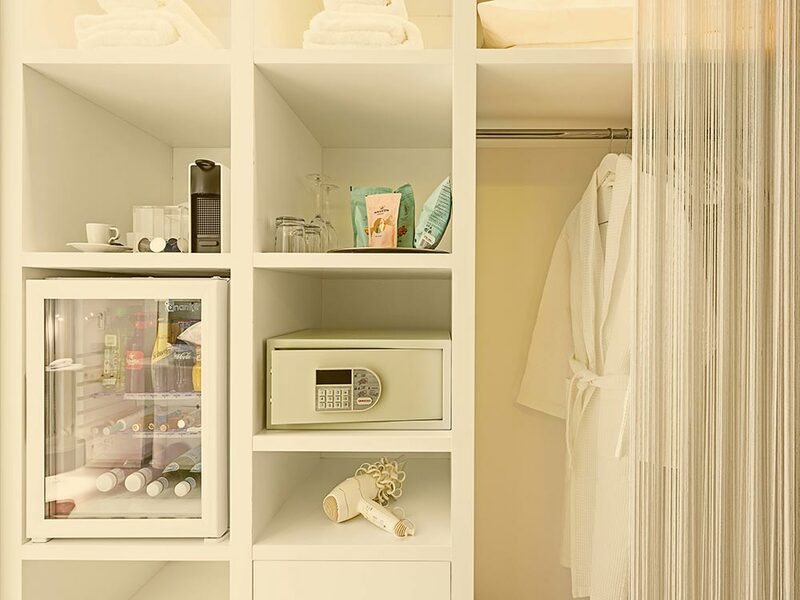 As facilities you can find a fully stocked minibar (with extra charge), nespresso coffee machine, kettle and safe in the room. 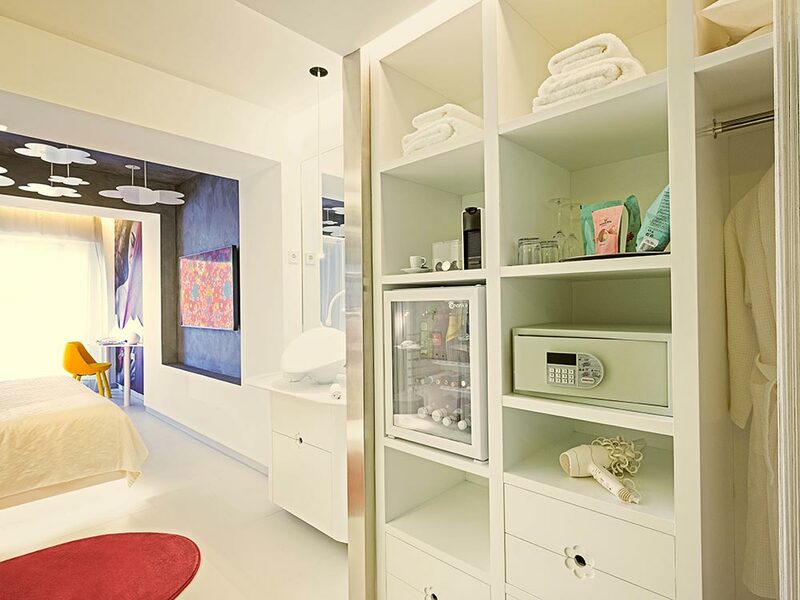 The room services are completed with a pillow menu and with extra charge the laundry service as well as room service for 24 hours. 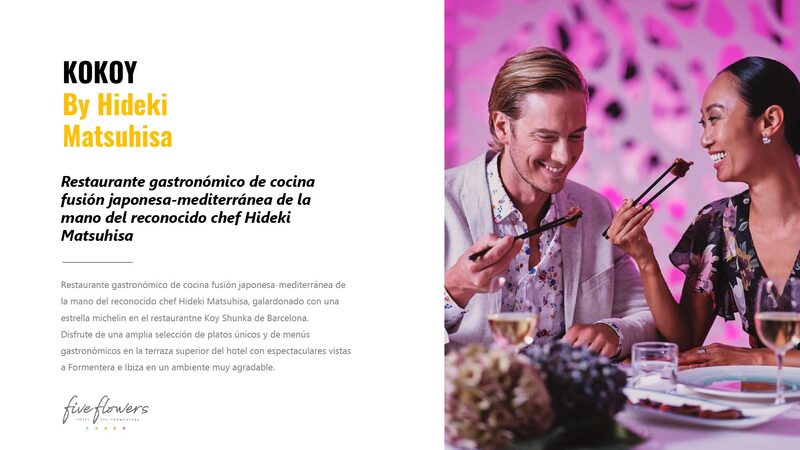 It has large common areas with SPA services, gym, garage, meeting rooms, main pool, buffet breakfast with showcooking, or the Sky cocktail bar with gastronomic restaurant and one of the best 360º views to Formentera and Ibiza that you can enjoy from the interior of the jacuzzi with glass wall. 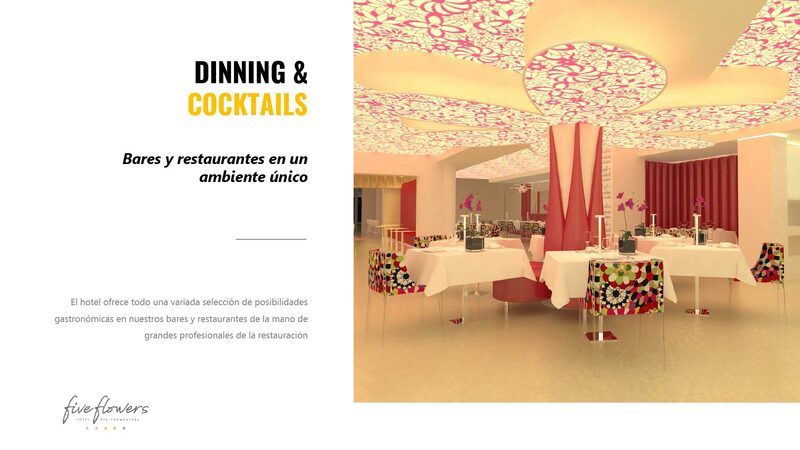 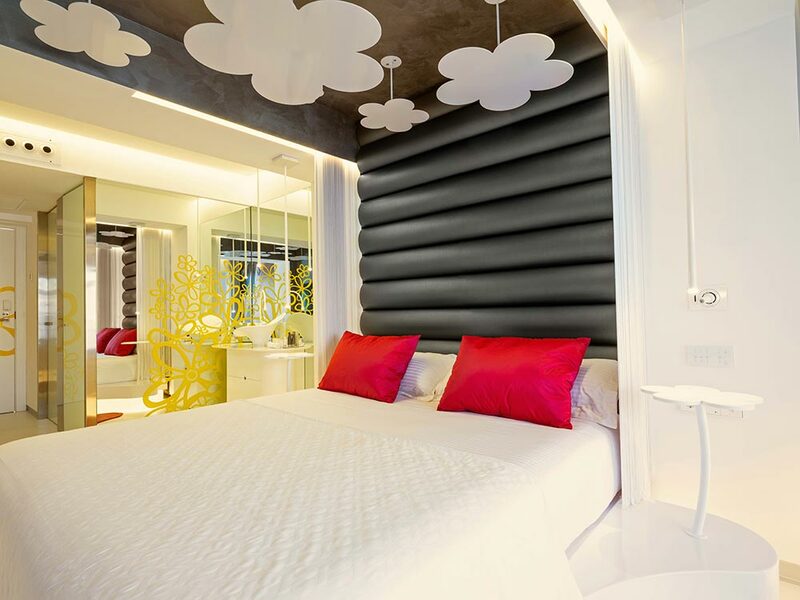 Five Flowers has a panoramic elevator to the sky bar and facades and balconies of led lights with lighting effects. 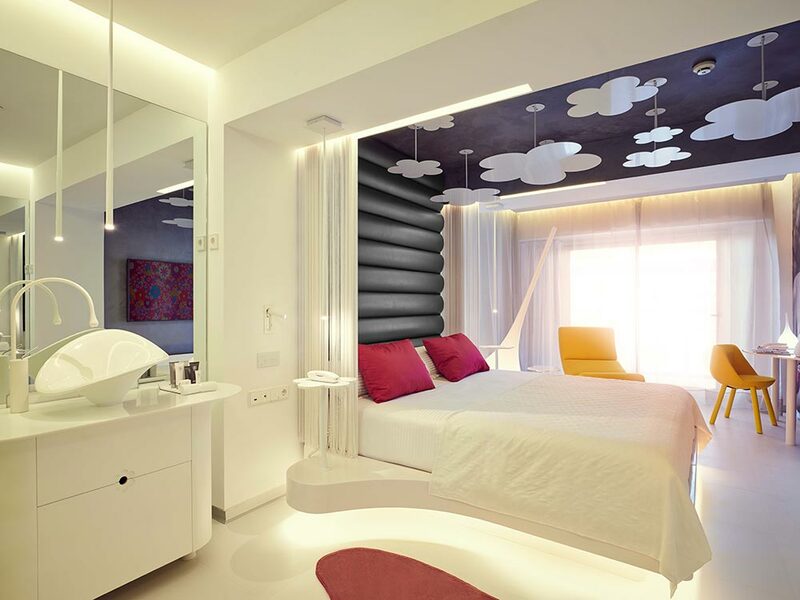 The entire hotel has a free WIFI access service and offers reception, concierge or valet parking services.